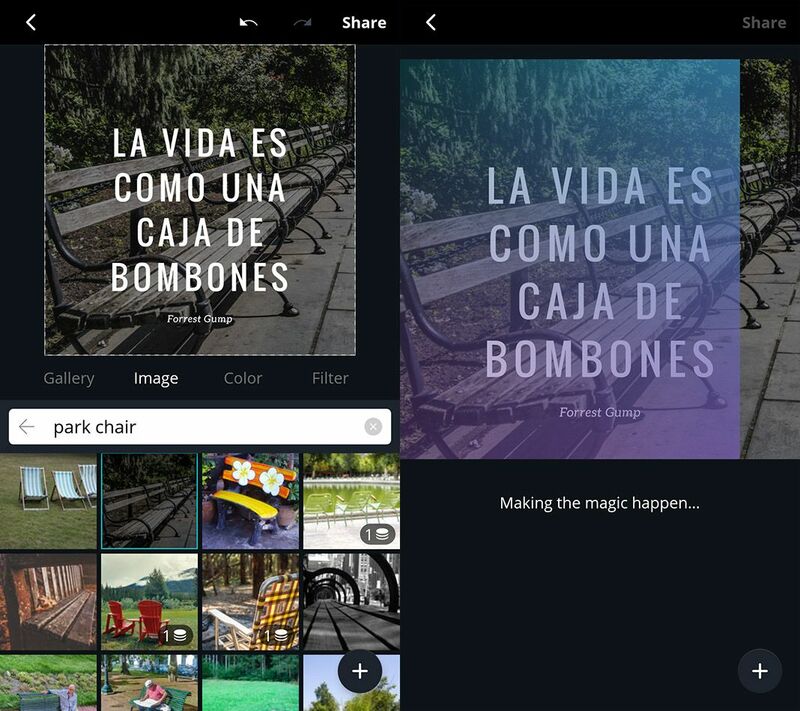 This app from Canva makes it possible to create incredible compositions with images; no graphic design skills required. Canva isn’t exactly a newcomer to the tech world. 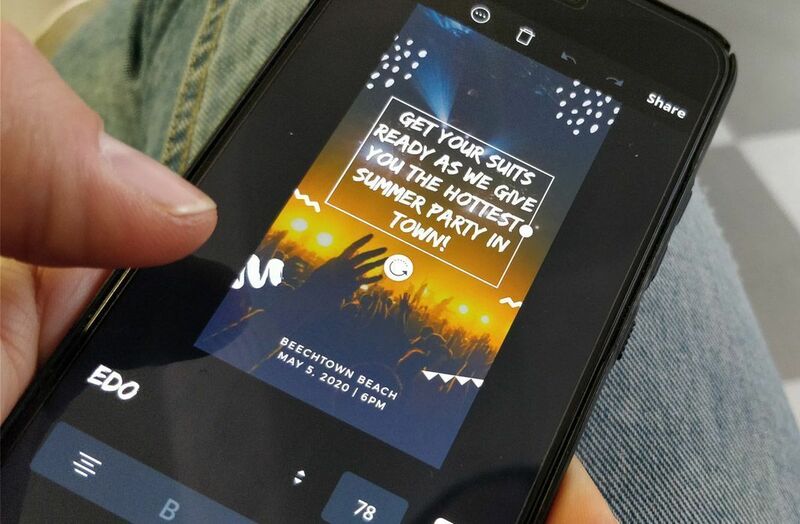 The startup, established in 2012 as a graphic design solution for inexperienced users, has just joined the “unicorn club” since receiving a valuation at over $1 billion after its last round of financing. With these sky-high numbers, Canva has become one of the most valuable image editing apps in the entire world. Today, we’re going to focus on its official app for Android, a natural successor of the web tool that paved the way to fame. The idea behind Canva is that you shouldn’t need a degree in graphic design in order to use specialized design tools. In the real world, users spend an exorbitant amount of time on social networks and messaging apps, where sending images and different types of compositions is the norm. Canva is well aware of this fact and thus, bases its potential in offering an endless number of completely editable layouts of the graphic compositions we use most. 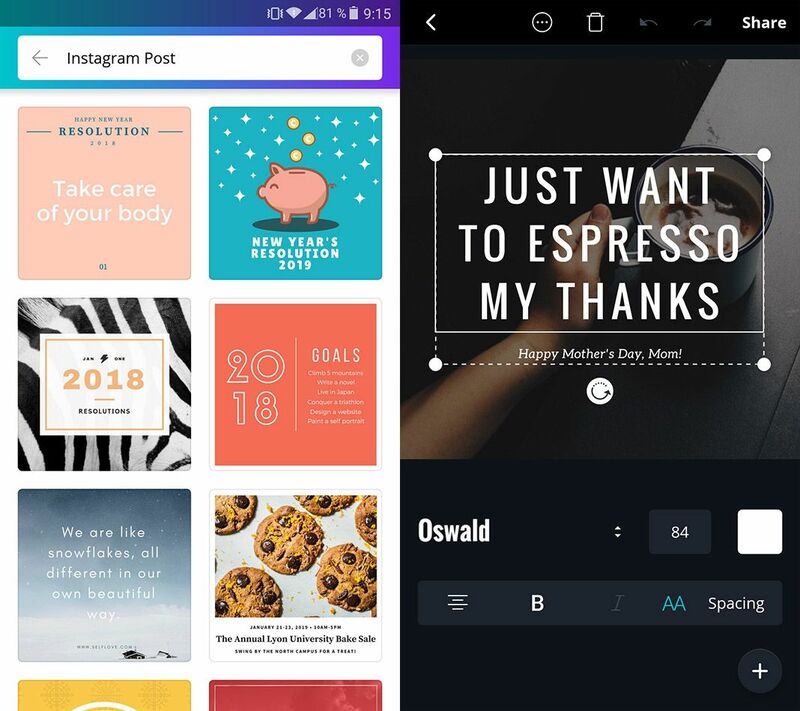 Whether you’re looking for nice thumbnails for YouTube, avatars or headers for Twitter, posts for Facebook or Instagram, birthday cards or invitations, covers or graphics for Pinterest, Canva has your back with its wide array of different galleries. But no worries, you won’t find your typical jumble of low-quality layouts. No. In Canva, you’ll only find the most up-to-date style standards. So you don’t have to worry about your results looking like something your great Aunt Mary would send you in a Facebook chain message. The results of this app couldn’t be further from being considered lame. With more than 60,000 layouts and a million stock images within your reach, Canva offers enormous possibilities. Its integrated editor allows you to change the text, images, and format of each of the elements in each composition without having to worry about the associated resources. Although every composition is fantastic in terms of font, style, and layout without doing a thing, you have full control over the content, so you’re free to swap it out for your own images, text, etc. Basically, it’s a complete adaptation of its web version. Canva is completely free to use, although the free version doesn’t give total access to as many layouts and resources as the Premium version. The paid version requires a monthly subscription that, in addition to providing full access to all its content, also offers advanced tools for businesses to use. Given the enormous amount of content available and the quality of resources offered, Canva is one of the best options we have for creating high-quality compositions with images at both a personal and professional level.